I’d like to share with you an update. 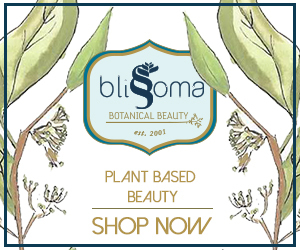 My mission is to help you make informed decisions about the products you use on your baby, on your body, and in your home. Let me tell you what happened with WaterWipes baby wipes. Back in 2014, when I was putting together the first edition of the Baby Wipes Rating List, I looked into the safety claims of WaterWipes baby wipes. They used to claim that their baby wipes were made of water and grapefruit seed extract and nothing else. Fortunately, I checked with the Skin Deep database and read a number of independent scientific studies (that you can see in the original post, quoted in full below) and learned that grapefruit seed extract may contain harmful contaminants that act as preservatives. By the way, every product containing water needs to have preservatives because water is a breeding ground for mold and bacteria. I contacted the manufacturer of WaterWipes baby wipes and had not heard from them, so I published the post with the information I had. 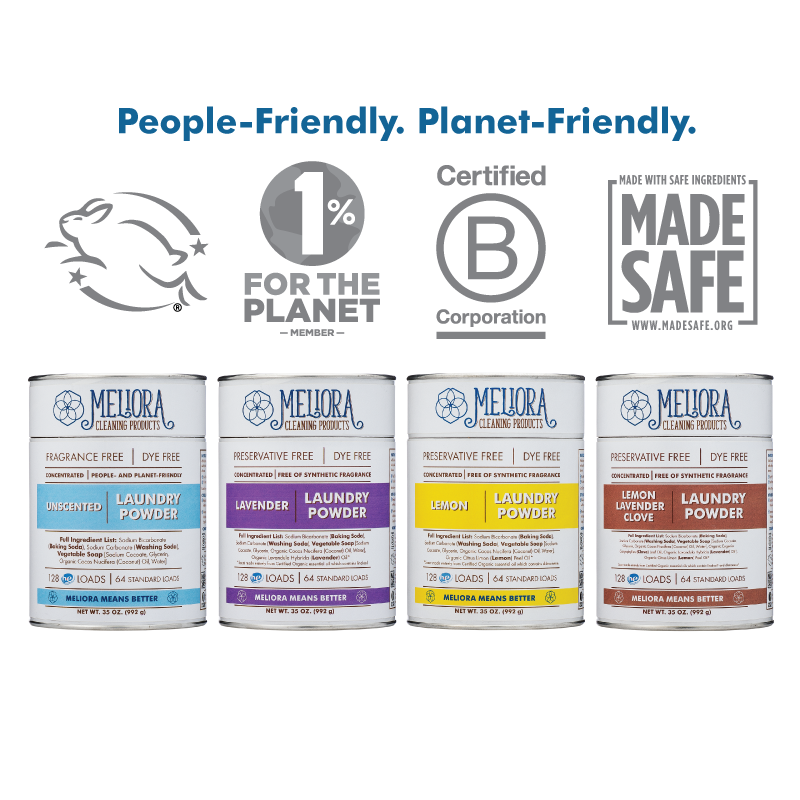 After I published the original post, they contacted me and assured me that there are no contaminants in the grapefruit seed extract they use. You can read about that in the update to the original post below. On the one hand, I was glad that there were no contaminants. On the other hand, I could not recommend WaterWipes baby wipes because I was concerned that they were not protected from bacteria and mold contamination, which I understand can happen as soon as they are open. You can read more about that in the update. Now let’s talk about the safety of benzalkonium chloride. The chemical name of benzalkonium chloride is alkyldimethylbenzylammonium chloride (ADBAC). It is a disinfectant and can be used as an antimicrobial preservative in products. It is a well-known irritant, and there is some evidence that it may even cause a contact allergy at concentrations as low as 0.1% (source). It decreased fertility in both sexes of mice, even when benzalkonium chloride was just used to clean their cages (source). Know that the amount of 0.002% claimed to be used in the WaterWipes baby wipes is 50 times smaller than the described amount in the studies. So your baby might be okay and not be impacted by benzalkonium chloride that is now finally disclosed. However, I personally would not feel comfortable using WaterWipes wipes on my child. My calling is to educate you so you can make your own informed and practical decisions. I researched every single ingredient of 35 other baby wipes and published my findings in the Baby Wipes Rating List so you can decide on the go which baby wipes are the right for your baby. After I published the post below, I was contacted by Irish Breeze – the company that makes WaterWipes baby wipes. The company’s CEO and the person responsible for online media took time to answer all my questions, which I highly appreciate. So let me now share with you what I’ve learned and my conclusions. Company’s Claim: the Grapefruit Seed Extract (GSE) used in the WaterWipes baby wipes contains only three components: dried grapefruit seed/pulp, vegetable glycerin, and ascorbic acid. What I Think: The company supplied me with step-by-step instructions on how its GSE is produced. The process made sense to me. I am glad that there are no harmful ingredients such as parabens, triclosan, or quaternary ammonium compounds (such as benzethonium chloride) that may be found in GSE. But this also means that there are no preservatives at all in the baby wipes, which concerns me. If you’re a regular reader of my blog, you know that I am not a big fan of preservatives as most of them have some controversy around them. But I said a number of times on my blog that all baby wipes have to have preservatives due to the fact they are moist, and water is a potential breeding ground for bacteria and mold. Company’s Claim: WaterWipes baby wipes are preserved with a patented preservation system that results in a sterile product before the wipe pack is open. And there is no food in WaterWipes baby wipes for germs to grow, after the pack is opened and used. What I Think: It makes sense to me that a product can be made sterile before it is open. However, after consulting with a person experienced in microbiology and reading Amazon reviews, I am not confident that WaterWipes baby wipes remain sterile after they are open and used. I found a few reviews on Amazon in which people noticed mold growth on the wipes. Most of those people blamed themselves because they left the wipes in a hot car, or used them over an extended period of time, or transferred them into a baby wipe warmer or baby wipe dispenser. I think that there is a possibility that WaterWipes baby wipes remain bacteria- and mold-free, if you follow strict guidelines, which are as follows: 1. Use WaterWipes baby wipes within 4 weeks of opening (write on the pack with a magic marker the date when you open them to be sure); 2. Use them out of the packaging they came in; 3. Do not leave them in the sun, in a hot car, or other hot places; 3. Carefully pull out the wipes, making sure that you are not touching the next wipe that will remain in the pack. Although I have not tested this, I have a feeling it is not easy to do that, especially when you have a crying baby at home. Also, keep in mind that while we can see mold, we can’t see bacteria growth without a microscope, so we can’t be sure whether the baby is exposed to bacteria. By the way, while reading reviews on Amazon I noticed that a lot of people complained that it is very hard to get one wipe at a time, which makes me believe that the sterile environment that the company has in mind does not work well. You should test it for yourself, though, to be sure. Your hands are not sterile; you might even have pee and poop on your hands while changing your baby’s diaper. So when you touch a top wipe with your hands, you might grow dangerous bacteria in there, such as E.Coli, and possibly even give your baby a urinary tract infection. And lastly, as an aside, WaterWipes do not contain any cleansing agents. Using water and a wipe might work sufficiently if the baby peed only. But I think with poop, using soap or some other cleanser helps a lot. The poop residue can irritate the baby’s skin too. 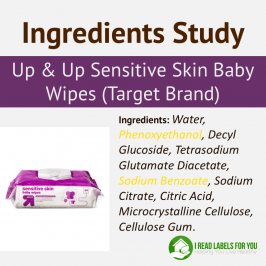 In conclusion, while WaterWipes baby wipes are free of toxic chemicals (a fact that I love), it seems to me that using them is associated with a potential risk of exposing your baby to bacteria and mold. Let me know your experience with them in the comments. 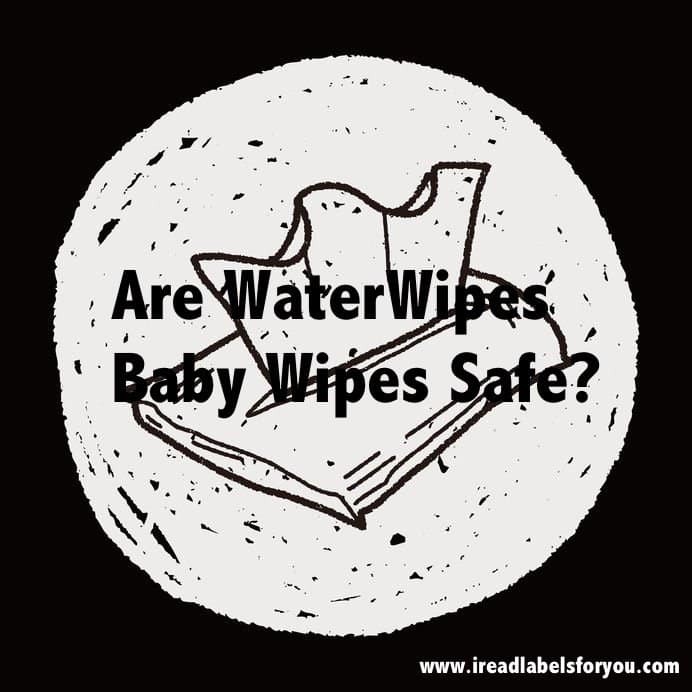 Many of you have asked about WaterWipes baby wipes made by Irish Breeze Ltd, a company headquartered in Ireland. WaterWipes baby wipes are advertised as absolutely safe, “99.9% water plus a tiny drop of natural ingredients.” It is so hard not to get lost in the convoluted maze of unpronounceable ingredients all other baby wipes seem to have. What a refreshing difference with the WaterWipes baby wipes – just two ingredients! The company claims that there are only two ingredients in their WaterWipes baby wipes – water and a drop of Grapefruit Seed Extract (GSE). Can it really be that simple? Sadly, no. In order to see the problem, let’s delve into GSE together. To begin with, I contacted the company with some questions. They responded by stating they would have to consult their microbiologist and get back to me. Unfortunately, as of today’s date. The company has not responded to me. If they do, I will let you know what they say. Here is a simple question. 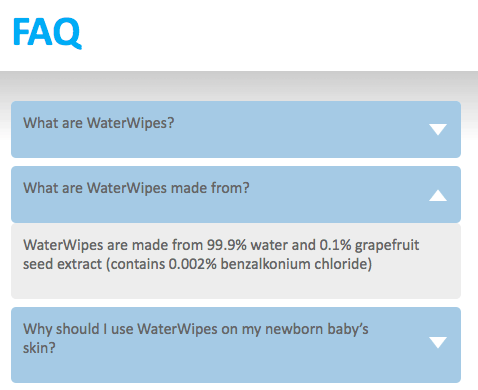 If the ingredients of the WaterWipes baby wipes are that simple why do they need a microbiologist to answer questions? First of all, when there is water in the product, some type of a preservative is needed; otherwise, mold and bacteria will grow in a few days. And you do not need to be a scientist to know that. How long can you keep cooked food in the fridge? And your dry supplies such as grains last for a long time, right? Thus, all baby wipes need a preservative, because they are all moist. A number of skin care and personal care product makers who use GSE claim that natural GSE has antimicrobial properties. 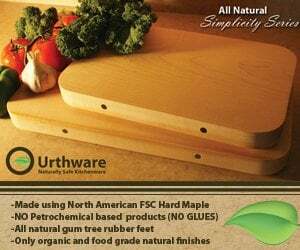 On the other hand, there are a number of studies showing that natural GSE does not have antimicrobial properties whatsoever. Natural GSE is good for skin conditioning but I am not aware of any studies that conclusively demonstrate that GSE is effective as a preservative. I found many studies in the US National Library of Medicine that concluded that GSE’s antimicrobial properties come from the synthetic preservative agents contained in it. (You can access the studies here, here, here, here, here, and here). So what are these synthetic agents found in GSE and how did they end up in it? One of the studies listed above explains that GSE is extracted with carcinogenic chloroform, a solvent, which converts grapefruit into a substance mainly composed of benzethonium chloride. Chloroform is an extremely toxic substance, rated 10 out 10 in the Skin Deep Database powered by the Environmental Working Group (EWG). Benzethonium chloride is a quaternary ammonium compound. The European Scientific Committee concluded that it is not carcinogenic; however, it may cause skin irritation at a concentration higher than 0.1%. According to this datasheet, there is some evidence that it may cause sensitization, meaning that with prolonged use a person may become allergic to it. It is also toxic to organs but that, of course, applies to higher doses taken orally. In short, it is far from natural and innocuous substance and it should be disclosed to people who believe that they are buying absolutely natural and safe baby wipes. In addition, according to the EWG Skin Deep Database, GSE may also contain triclosan and parabens, both of which interfere with the normal function of the body’s hormone system leading to developmental and infertility problems. Triclosan, rated 7 out 10, is also bioaccumulative (accumulates in the body) and persistent (does not break down in the environment). So without any disclosure, it is hard to say whether WaterWipes contain those chemicals. I also found an interview with a maker of GSE, the commercial name of which is Citricidal. The manufacturer says that there is nothing natural about it. The manufacturing process is proprietary and “[a]ll I am willing to offer is that we start with grapefruit bioflavonoids and convert them into a quaternary ammonium compound similar to a known, but toxic, compound called benzethonium chloride.” So he claims that there is no benzethonium chloride but he is not even willing to say which quaternary ammonium compound is there instead. That does not give me a warm fuzzy feeling about the safety of GSE they are making. Also, from the interview, it is clear that so-called GSE contains other ingredients. In the case of Citricidal, it is ascorbic acid and glycerin. So we do not know what other ingredients are in the GSE of the WaterWipes baby wipes. In conclusion, WaterWipes baby wipes are not as natural as the company wants us to believe. There are undisclosed ingredients in them and we do not know what those ingredients are. WaterWipes baby wipes should not be marketed as natural so please share this post with others who might be interested to know about this. Pampers Sensitive Baby Wipes: Safe or Toxic? Are Kirkland Signature Baby Wipes Safe? I’ve just recently started to follow your blog. Would you be willing to make a list of say your top 10 or 20 brands you recommend. And include some more popular or easier to find ones as well? And rate them 1-10 or in an ordered list or better to worst? For diapers and wipes? I would just like to know what I should reach for next if my top pick isn’t available when I need it. Thanks. Great suggestion, Melissa! I will give some thought to it. Great to know, thanks! While I don’t use these wipes, I do remember coming across them and considering them in my search for good disposable wipes (we use Jackson Reece unscented)! Good choice! Thank you for letting me know! I have been using Water Wipes since my baby was born 9 months ago. We have never experienced any problems with them and I love that they are pure and simple. My sister has also used them for 3 years and loves them. We use them as the package directions indicate which has not been a problem for us. It is good to know. Do you always use them within 4 weeks of opening? We pretty much do use them within the 4 week time frame since we still do a lot of diaper changes and we use Earth Mama Angel Baby Bottom Balm afterwards, this has worked well for us along with using Bambo (for night use) and Earth’s Best (for day use) diapers. Are these wipes safe? 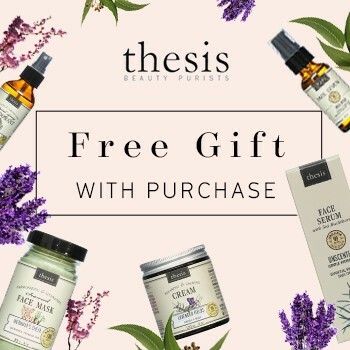 have you heard anything else- been using for a few days now- but want to make sure they do not contain anything like parabens , synthetics or triclosan still! I was convinced by the company that their GSE (the only ingredient besides water) has no additives such as triclosan. However, that fact gave me pause because the wipes might be prone to bacteria growth while they are used. Hi, I came across your post whilst wondering something about the safety of WaterWipes myself. However, I’m querying the water – if they are made with Irish public system water do they have fluoride in them??? This is a real issue for my as 98% of Irish tap water is flouridated and this is potentially a hazard for our children. Have you or anyone else queried this at all? Thanks. Otherwise love WaterWipes! Generally use cotton wool and water at home but the wipes are great for out and about! Generally, in baby wipes purified or filtered water is used. I will contact WaterWipes about their water. Thank you for the question! Hi, ive just read your blog to see if anyone had experienced mould in the wipes like i have in the last packet i brought. The mould was there before i opened it and does not expire unitl 2016. Very concerning, i used a wipe on his face before realising Currently waiting on a response from them. Hi Laura: this is awful. Thank you for sharing! This just proves my theory that their preservation system is not sufficient to be safe. And that just mold that we can detect with our eyes. The environment that is beneficial for mold to grow is also good for bad bacteria to grow, which we can’t see. Please keep us updated. If you are looking for different wipes to use, you might want to check my analysis and rating list of all major disposable baby wipes. Thank you again for stopping by. Hi, do you know if the Jackson Reece wipes are ok? Thank you! We just discovered that my baby has a citrus allergy – I had just identified it after scrutinizing my diet (I nurse), and that night my husband unknowingly used the first water wipe in a package we just bought to clean my baby’s neck and he got hives. So – just a caution to spot test these first if your infant has not yet been exposed to citrus. Hi, I’m amazed they can say the wipes are 99 percent water as the tissues themselves aren’t woven from water and they are the main constituent surely? These really worry me as by the time you can see mould it’s already infested everything. I’m interested to see if any microbial tests over time after opening have been carried out? Surely those should be done before they are for sale but, like you I’m worried about harmful bacteria and fungi growing on them. Thanks for your information. We have been using these wipes for almost 2 years with our son, and they have been great for us. I prefer a cotton cloth, but sometimes I need a disposable wipe. My daughters had diaper infections at least a couple, but I am happy to say my son has never had one. I liked the ingredients of these, and that they lacked the usual preservatives. I have been really happy so far, and haven’t had any issues. When my baby was 3 weeks old and she had a really really bad diaper rash i had no idea what happened because we kept up on every diaper change and made sure i put cream right when i saw a red spot. Anyways i was looking up each and every way to cure it ASAP because i didnt want to see my babygirl in pain. First time mommy so i was freaking out and internet doesnt really help. So i asked my sister and she said use max strength desitin and change your wipes and diapers. I chose the waterwipes because i figured they were the most pure and simple. And i have sensitive skin myself so i knew that the waterwipes would most likely be best. I chose the 60 pack so that i wouldnt waste any money. Once i started using them it made a big big biiigg difference. And your right you really have to be careful to keep them clean especially with a fussy baby thats pooped or peed. But if i touch one under the first that i grabbed i grab it and use it immediately just to be sure shes getting the cleanest wipe next. Anyway been using them ever since and they have really been a godsend make sure you use them as directed and you’ll be fine. I have used WaterWipes on my baby since he was born, that was 16 months ago. I found them to be amazing, I would never use another product. You must respect the instructions on the packet and you will have no problem, even on sensitive skin. They easily clean poo off the skin without effort and I’m impressed that they don’t come fragaranced. What a truly wonderful product, I strongly recommend to all mothers, pleas try them! We have been using water wipes for about a year now and we have not had any problems or infections as a result of using them on our children. It is also true that our wipes never last more than a week so we haven’t noticed mold or change in the wipes because we use them quickly. So thus far we continue to use them. I came across these Water wipes a few weeks ago when my 2 year old had a severe diaper rash that we could not get cleared up. If we even mentioned the word diaper he would run screaming at the top of his lungs. He would fight us so much when it was time to change his diaper, even if it was just wet, because his bottom hurt so bad. He would scream and cry and hold on to us as tight as he could. I was desperate for something to give him some relief and I found these. They were like MAGIC! The first time I used them on him, he didn’t cry at all! We used them for several weeks while we waited for his fungal infection to clear up. I have even taken them to daycare for them to use on him. I absolutely LOVE these wipes!!! I’ve been using WaterWipes since shortly after we brought my little guy home from the hospital. We were in the NICU for 3.5 months and there they use dry wipes wet with tap water. We never had a single problem with diaper rash until I brought him home and started using store-bought wipes; even with the sensitive skin ones it was just awful. These wipes were the closest thing I could find to what they used in the hospital and I absolutely love them. We haven’t had a single problem since we started using them. They are wonderful and I personally wouldn’t be concerned about any of the potential issues mentioned here. And they do clean up poopy bums just fine. I figure, if the hospital uses only water on micro preemies, it must be the best thing. And who doesn’t use a pack of baby wipes up within 4 weeks? I think anyone who had moldy packs, they must have been shipped poorly in too high a temperature. I would very highly recommend these to anybody. My daughter started getting some mild red rash on her down there. We never noticed mould till I opened the underside lid of my nappy change bin and it was covered in black mould. It was full of nappies and waster wipes and I’m assuming they are too wet and also maybe in there longer than a week as it’s a big bin…. really scared me! I have been using water wipes for over 2 years with no problem. I didnt like how hard they were to get out of their package so I bought a Huggies wipe box and threw out their wipes and put the water wipes in there. Neither of my kids had problems with diaper rash with these. No mold problems on the wipes. Keep in mind that in general, healthy people are used to their own bacteria including what is in their poop and don’t get sick from it, aside from it entering the urinary tract. The poop being rubbed around the urethra in the diaper or with a wipe is much more of a risk than a non preserved wipe. Hi great article I like how it’s not entirely opinionated and pretty objective however I’m leaning towards the wipes being unhygienic… my 3 week old infant has developed a bad chapped( red, raw, inflamed looking) baby bum and I feel awful wiping her as she cries hysterically; it looks painful. I’ve been using the weleda diaper cream and it doesn’t seem to be working. I’m wondering if it’s the wipes?! Hi, do you know if the Honest baby wipes are ok? Thank you! Water Wipes are the ONLY ones that don’t cause a rash on my daughter. We even tried Viva paper towels and pure water and she got a rash. Washcloths and pure water give her a rash too. We use them for poopy diapers only as they’re expensive but we love them. This is good to know, i came across this as i was trying to do my own research on the waterwipes brand. 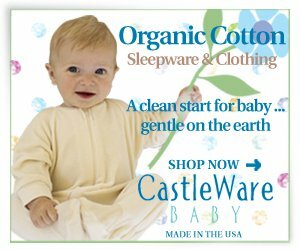 I had gotten a free sample and tried to use them on my 8 week old daughter and she screamed in pain like it hurt her, she has no rash and has never cried while getting a diaper change. Makes me wonder why it irritated her so badly. I most definitely will not be using these again. while researching Water Wipes, I found out not only about the Benzalkonium Chloride (which WW now acknowledge but still don’t put on the packaging) but also that the water they use is activated. Did you know about this? The result of electrolysing water with a saline solution is sodium hydroxide and hypochlorous acid. This is process is patented by WW and likely to be the preservative I should think. Wish they would be honest with the process – some kids react to even small amounts of chlorine. I’m leaning more and more to the water wipes that at least acknowledge their preservative such as phenoxyethanol as I feel they’re actually more honest than all these companies targeting the ‘natural’ market and only disclosing what sounds good to concerned parents. I also want to be sure that the wipes will remain safe after opening as, after all, bacteria which is unseen can be so dangerous. Really appreciate your thoughts on this and love your info. Yes, I was forwarded the U.S. Patent application #20110203946 by someone who had worked in the industry. I can send to you privately if you like so you can read the whole patent if you can’t find it online?